"Every rule that gets written has a cost," explains Abby Schachter, author of the new book No Child Left Alone: Getting the Government Out of Parenting. "I don't know if parents [understand] that under the headline 'we're going to keep your children safe' [or] 'we're going to protect the kids' that that is really code for 'we're taking your rights away.'" 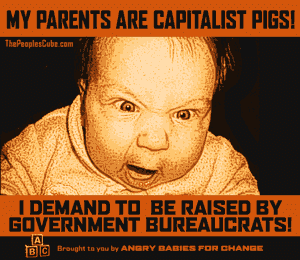 Consider the downside of government institutionalized daycare.